We had a fantastic Friday! 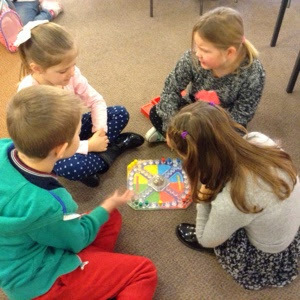 It was lovely to share games from home and have time to play with friends. 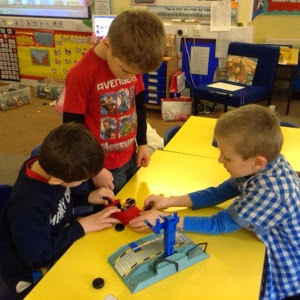 We had a visit from Father Christmas who gave us a brilliant game for our class AND some firemen and engines to use with the Fire Station in the New Year. 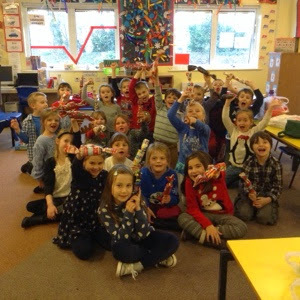 The PTA had also made a Christmas cracker for each of us to take home. What a brilliant day! 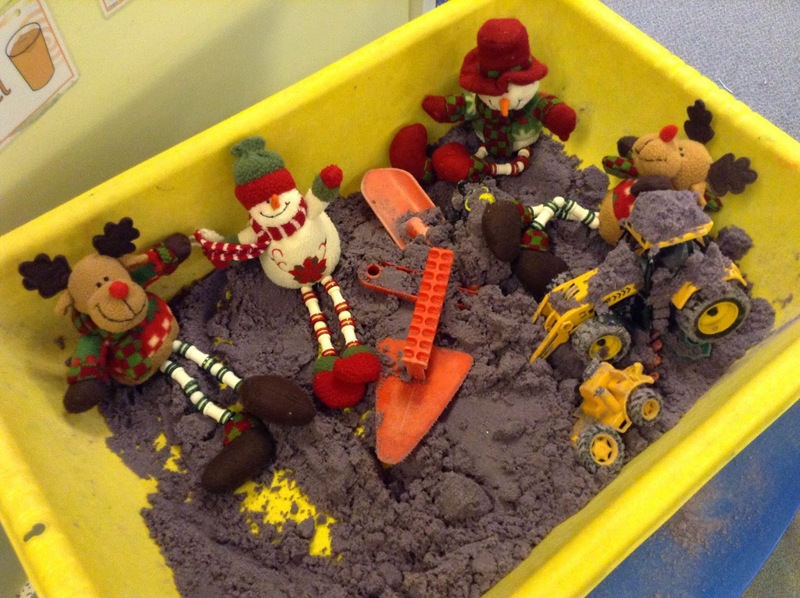 We wish you a very Happy Christmas and look forward to seeing you all on January 6th, excited and ready to continue our Year Two Learning Journey! 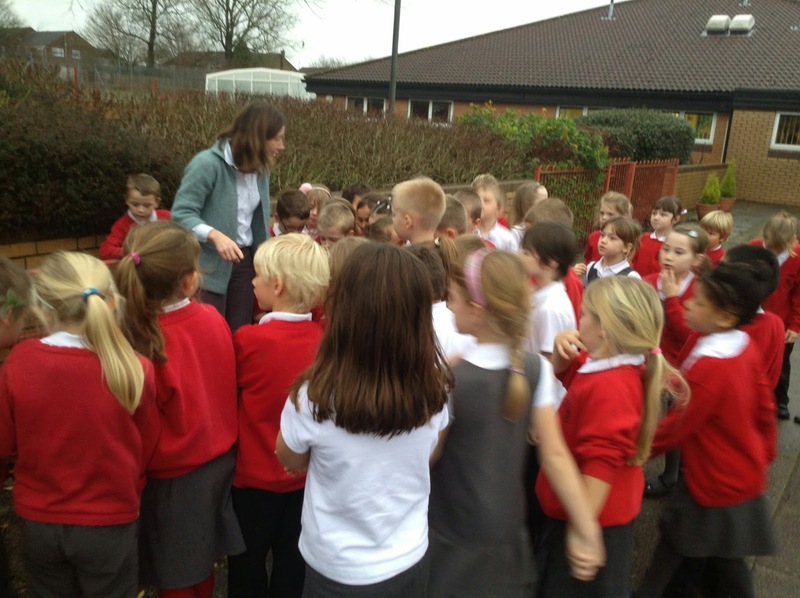 We said farewell to the Arctic Adventurers today, we have all had such fun while they have been visiting. 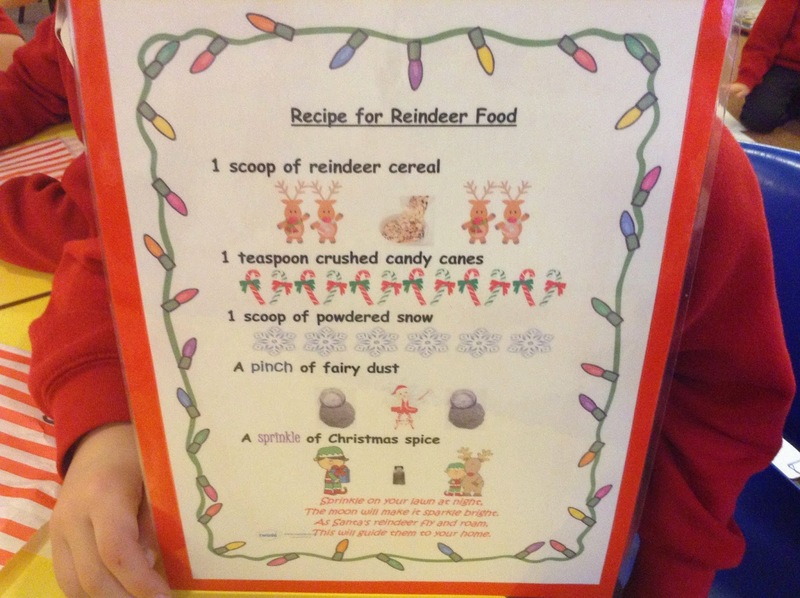 Rudy and Rocky left us their recipe for reindeer food which we made today. 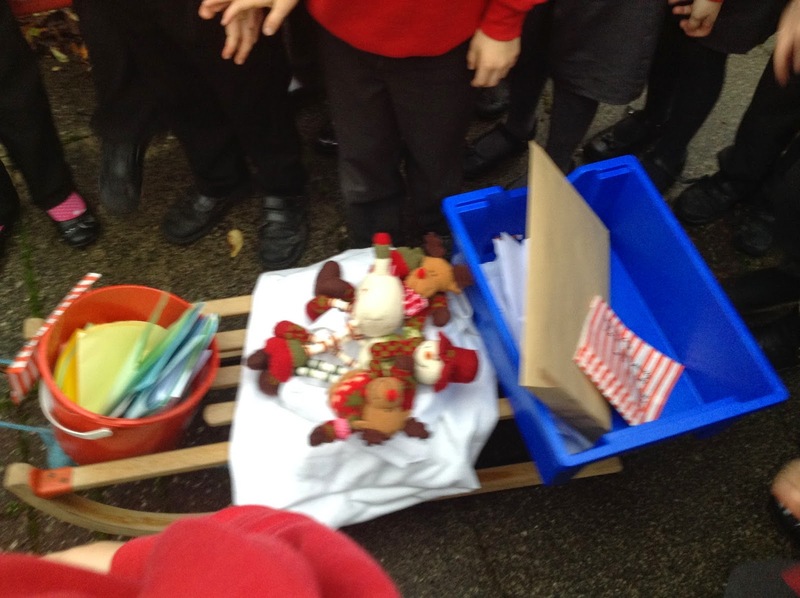 If we sprinkle it on our lawns and pathways on Christmas Eve, Rocky and Rudy will know that a Shaftesbury Primary Year 2 lives in our house when they are on their mission with Father Christmas. After we made the reindeer food, it was time for us to say goodbye. 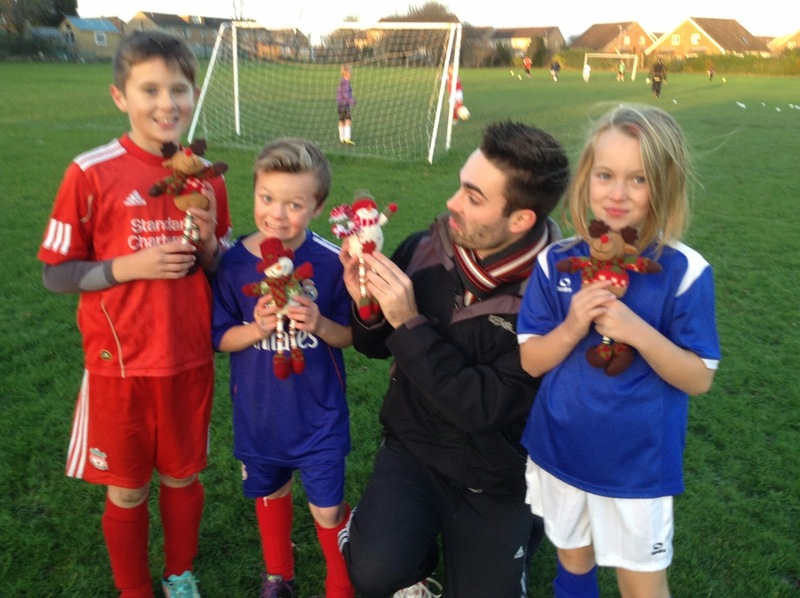 We made farewell gifts for them, wrote letters and cards and Nat even made a teddy from paper! Amber and Nat pulled the sleigh to the front of the school where our adventurers were going to be picked up by an Arctic Airlines flight. Cass and Scarlett thought that they might have spotted the airline overhead, we definitely saw some lights in the sky. 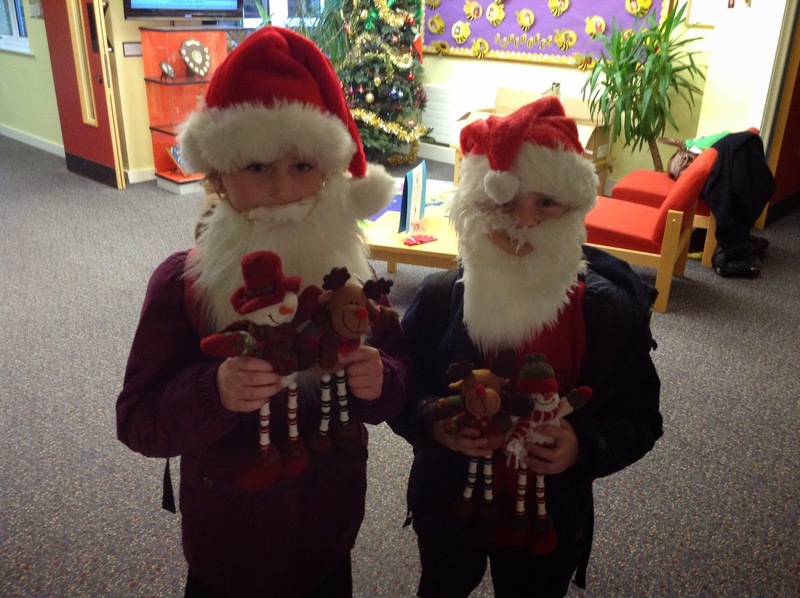 We all said our goodbyes and by the end of school they had disappeared back to the North Pole. We wish them a very safe journey and we hope we will see them again someday. I hope the headphones were plugged in! What are they up to today? A spot of cleaning! 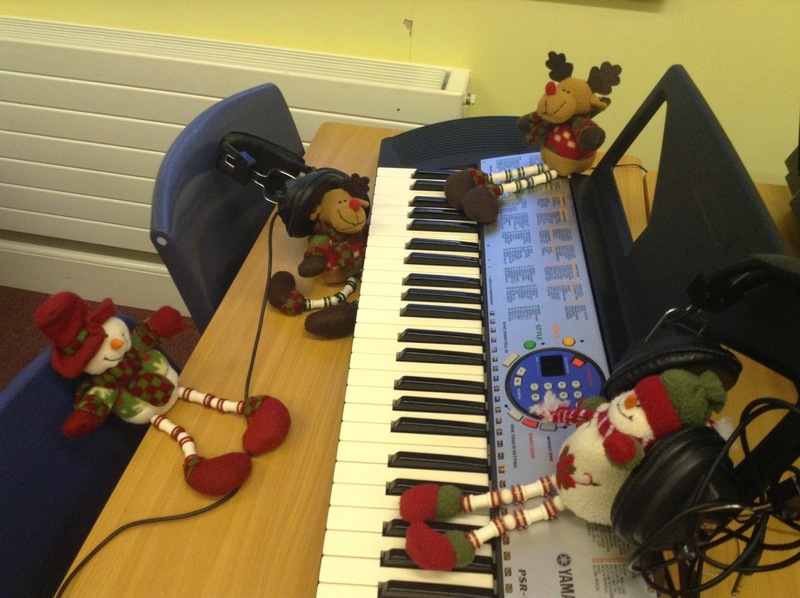 I hope Mr Toogood doesn't mind them being in his room! Rudy and Sooty weekend fun! 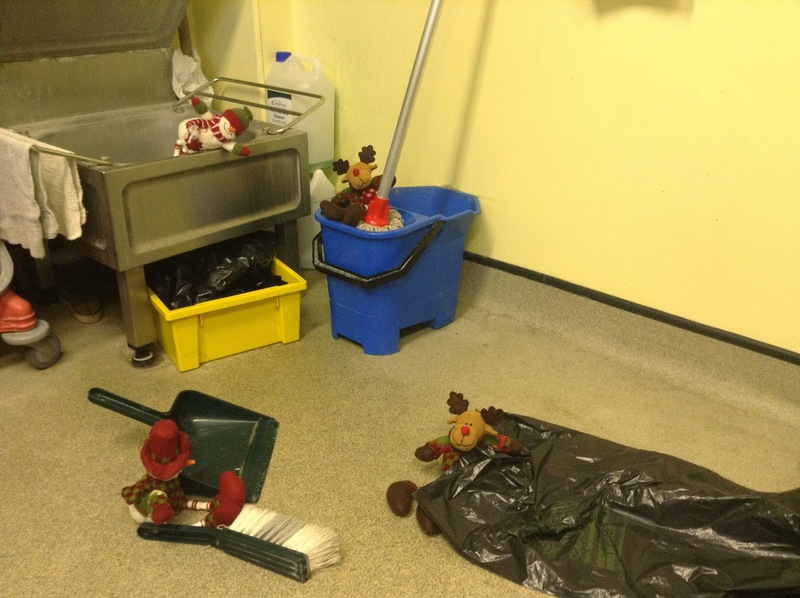 Rudy and Sooty sneaked into Mrs. Peterson's bag at the weekend and ended up spending the weekend with her family. They were mostly very well behaved and enjoyed meeting everyone and doing lots of different things that they had never done before in the Arctic. Sooty tried his best not to get into too much trouble . . . 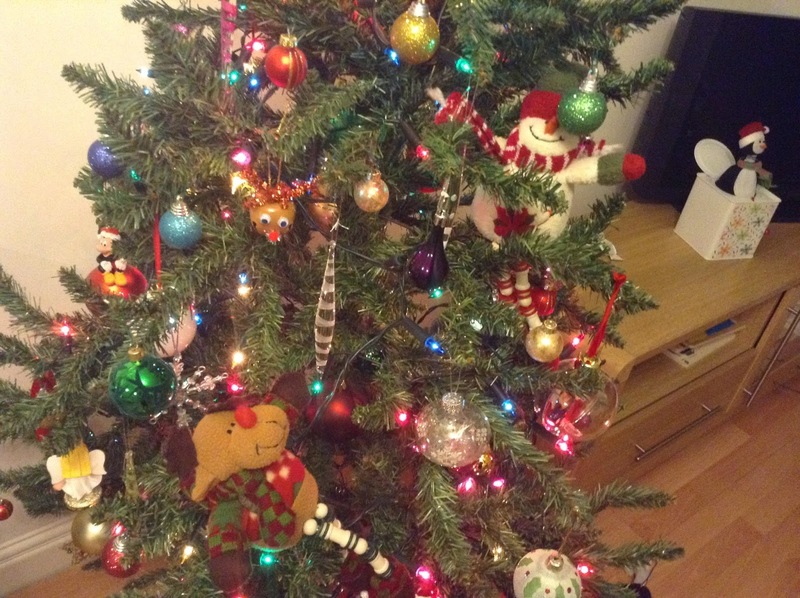 They went on a christmas tree hunting expedition in the woods and then tried to help with the decorating when we got back home -- they struggled with the tinsel! 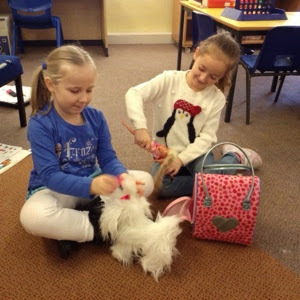 They enjoyed meeting the animals and Sooty rode the dog and the cat - all with a big smile on his face! Mrs Peterson's puppy wasn't too sure about Rudy or Sooty . . .
Rudy managed to fit in some reading! Sooty wasn't very helpful at playing on the X box! 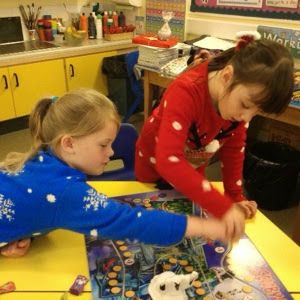 They got very busy wrapping up presents - hurray! 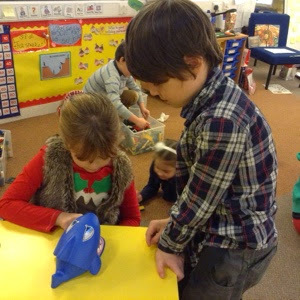 They have lots of practice living near Santa's grotto in the North Pole so gave us lots of tips to make the presents look exciting! By Sunday evening they decided it was time to discover television and to snuggle down with the children and the dogs to have a rest. An expedition far, far away! We decided to explore the opposite end of the world to our Arctic Adventurers on Friday and followed in the footsteps of Captain Scott to the South Pole. We thought about what would be good things to take for such a journey and tried to imagine what it was like on the coldest, windiest place on earth. It was a sad story as he was beaten by Amundsen from Norway and then his team couldn't survive the journey back to their ship. See if you can tell your family something about their expedition. We know that people are famous for being brave and taking on a challenge for the most difficult things. We tried out how hard it is to pull people on a sledge without dogs as Scott didn't take husky dogs on his trip and took lots of heavy supplies. We discovered that trying to do things with thick coats and gloves on is not easy. Rudi and Sooty even tried out our sledge! What on earth are they up to now? Up to mischief in the Christmas tree. 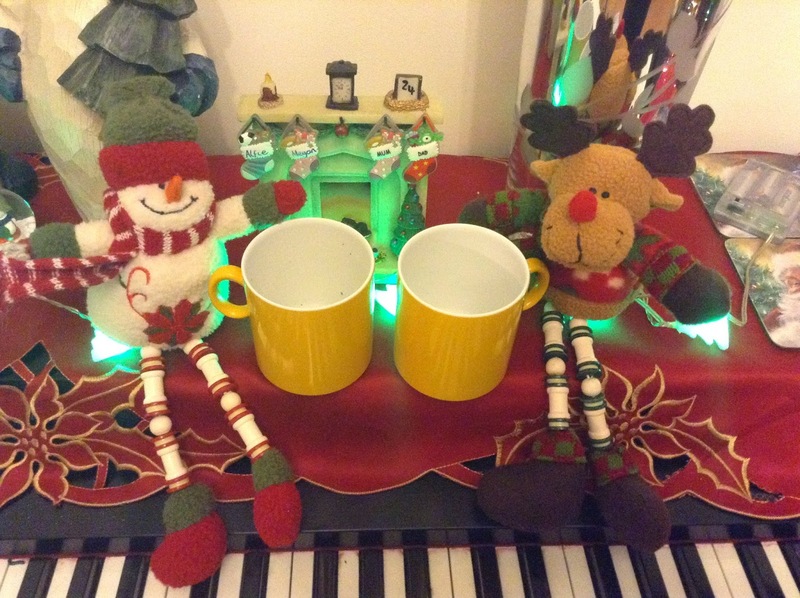 A nice drink on the piano. 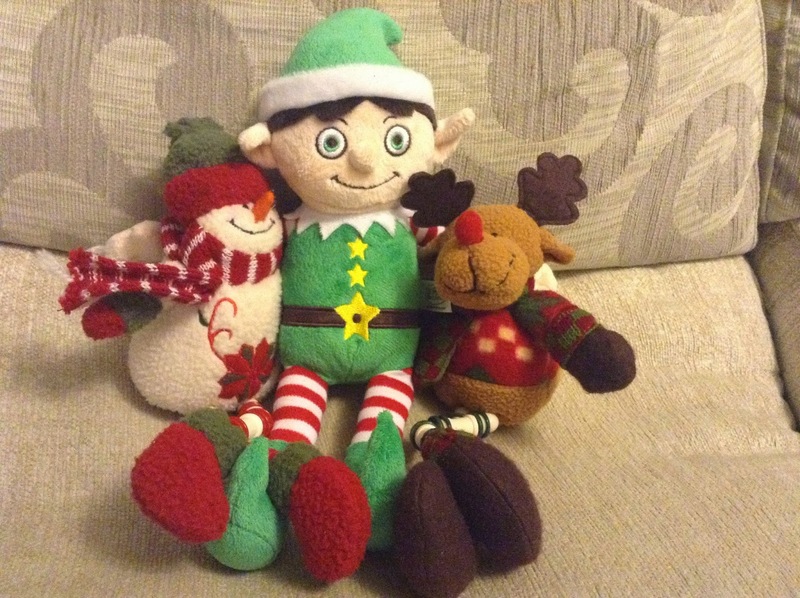 Chilling out with Buddy, the Turner family elf. Sneaky Sidney even managed to stow away on a visit to Longleat! 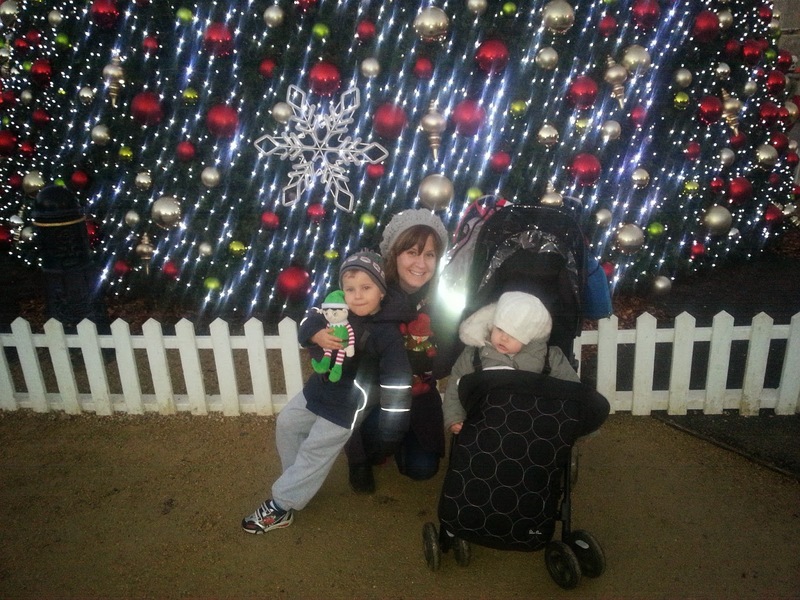 He loved the singing Christmas tree! 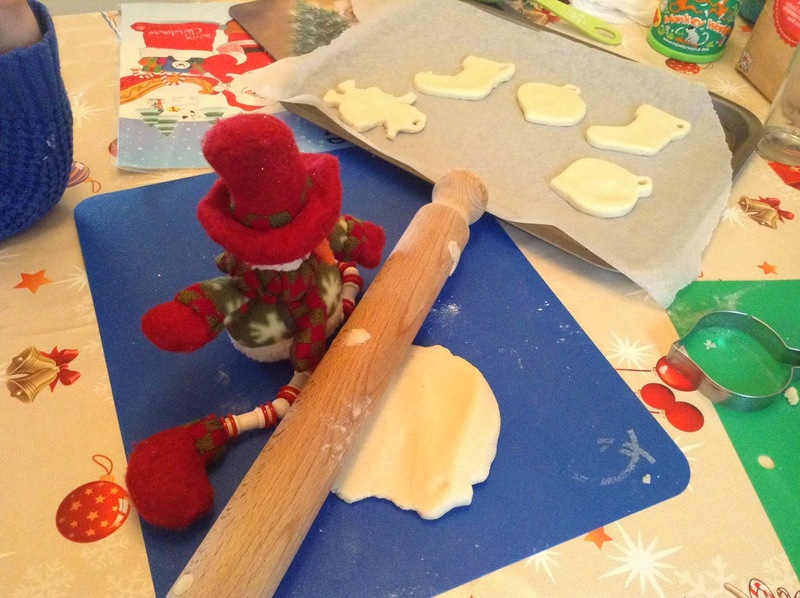 He also tried his hand at making salt dough Christmas decorations, he was probably practising ready to help Year 2 with this later in the week. A HUGE well done to all of Year 2 for a fantastic dress rehearsal today! No photo spoilers, but if you are able to come and watch next Monday or Thursday please do. 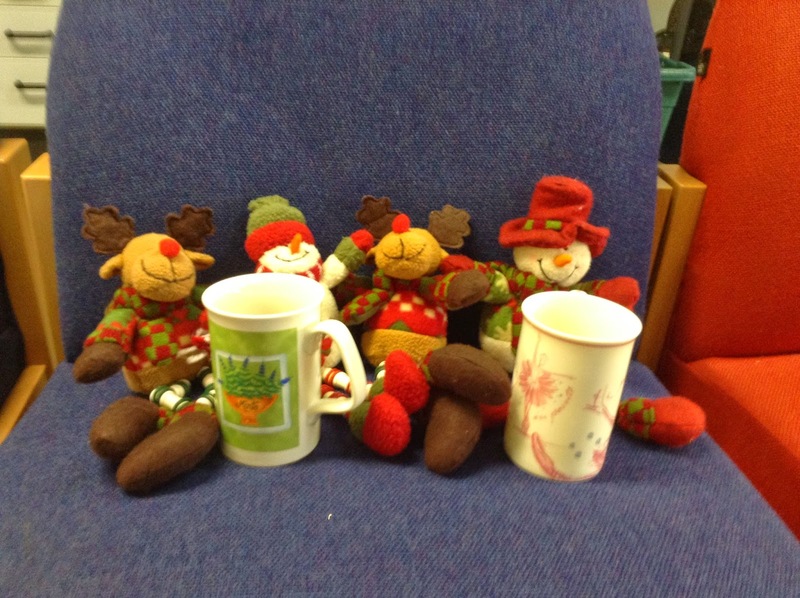 After a quick chat to some Father Christmases, the Adventurers needed to relax with a cup of tea in the staff room. They have had a busy week! There are so many tricky spellings in the English language! Mr Thorne is great at reminding us about how to write different sounds in words! 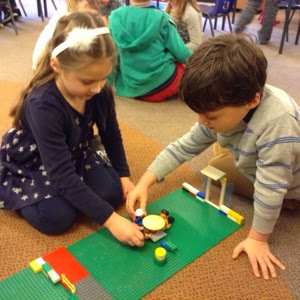 Here is one that Walnut class enjoyed today. 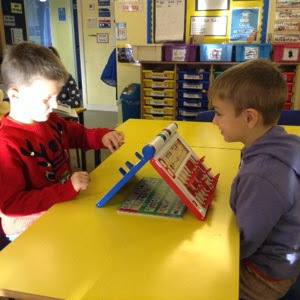 See if you can find any other videos to support your phonics learning. What would you like to ask them today? Time to get fit! What would you like to ask them about today? It looks like they had a great chat with Mr Mustard! 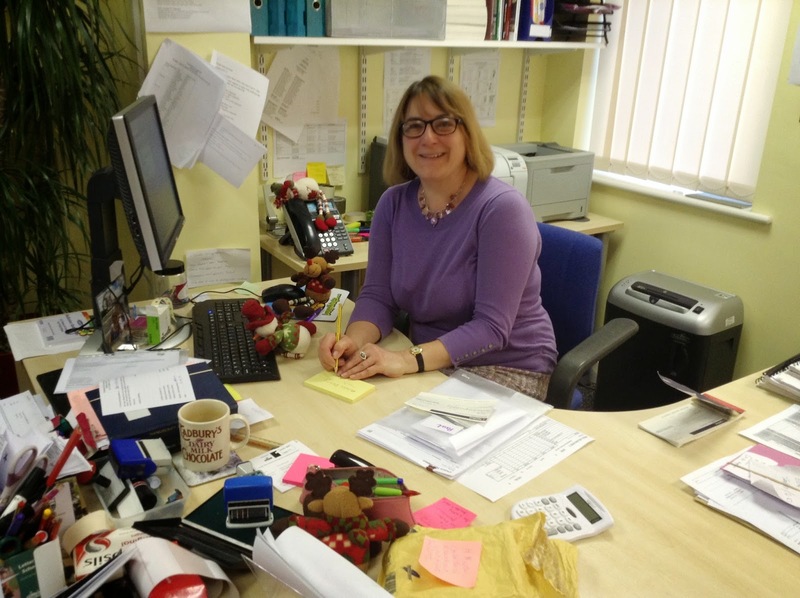 Tuesday Afternoon: The Adventurers have found the office! 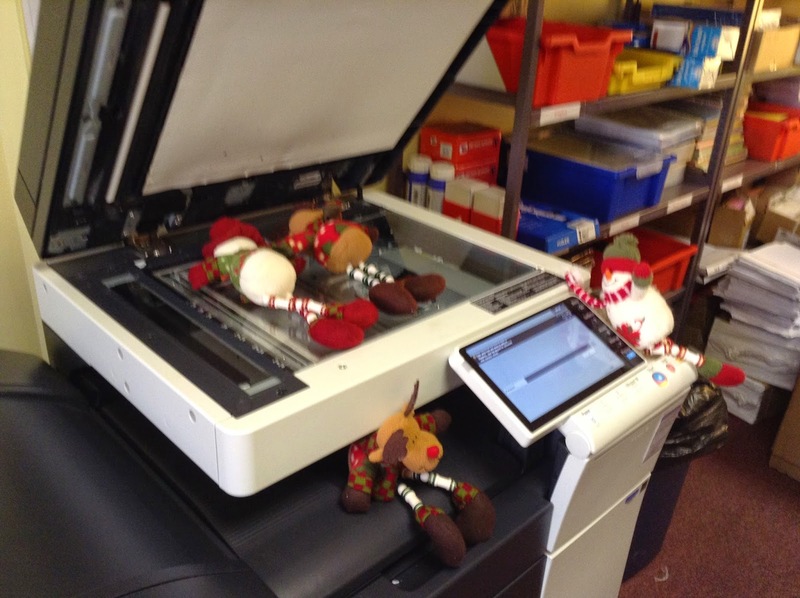 I hope they haven't broken the photocopier! 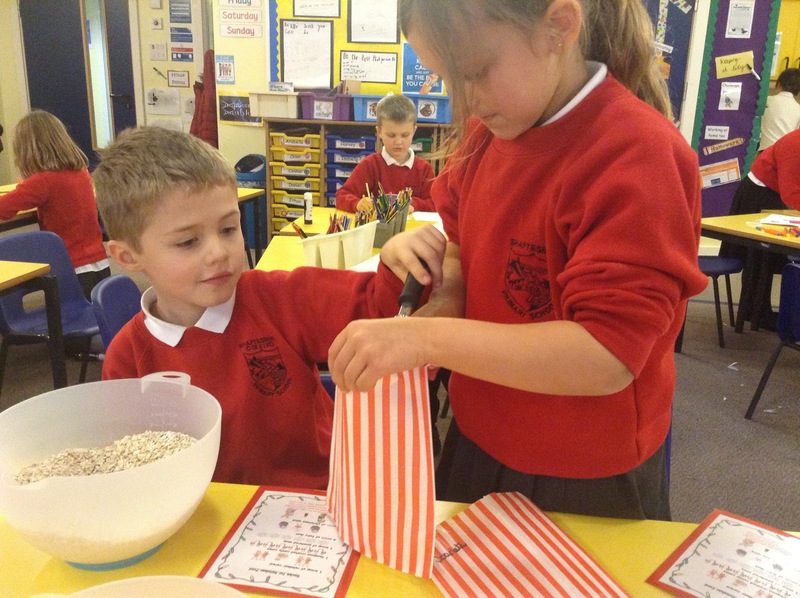 What would you like to ask them about helping Mrs Rennard with her jobs? 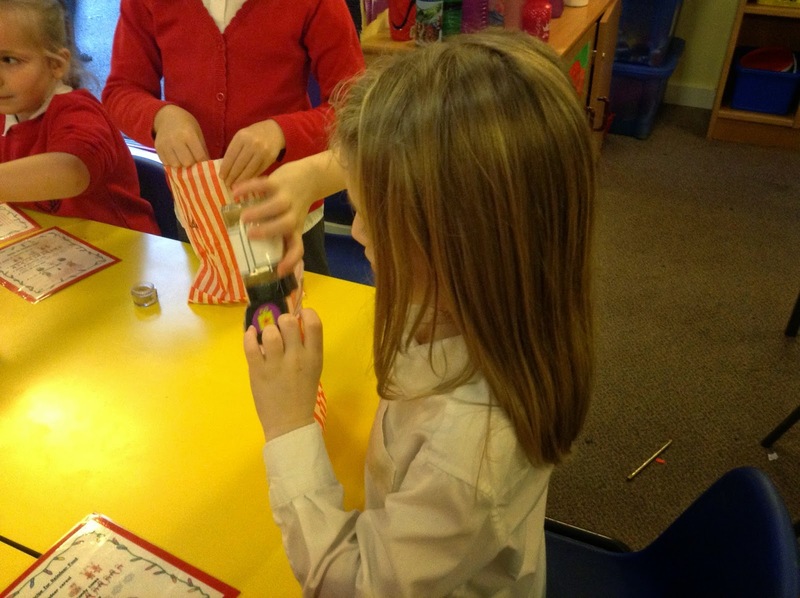 Sooty and Rudy were SO excited to arrive in Ash class safe and sound on Monday morning. Rudy had followed his compass south and managed to guide everyone to Year 2. We were very excited to find them nestled under a white blanket they had found. 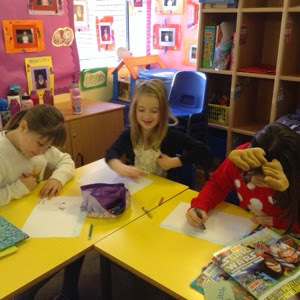 However when we were got back from assembly they were nowhere to be seen . . . the great hunt began. Maria cleverly spotted Sooty investigating the snails - who of course come from Africa - nowhere near the North Pole. He even decided to go for a little ride - not quite the same as a reindeer but Slidey was very happy to help him out and Sooty didn't slide off him. He wondered if Slidey would survive in the North Pole. What do you think? Then Sooty had to answer all sorts of your questions in order to find out where Rudy was . . . he loves reading and was found looking for a book in the book corner! Once we had them reunited they helped us about showing us some pictures of the Arctic. We wrote lots of questions we wanted to ask them. Here is a selection we chose to put on the white board. Rudy says: "I like to sleep in a big snow drift where I can snuggle down out of the wind. 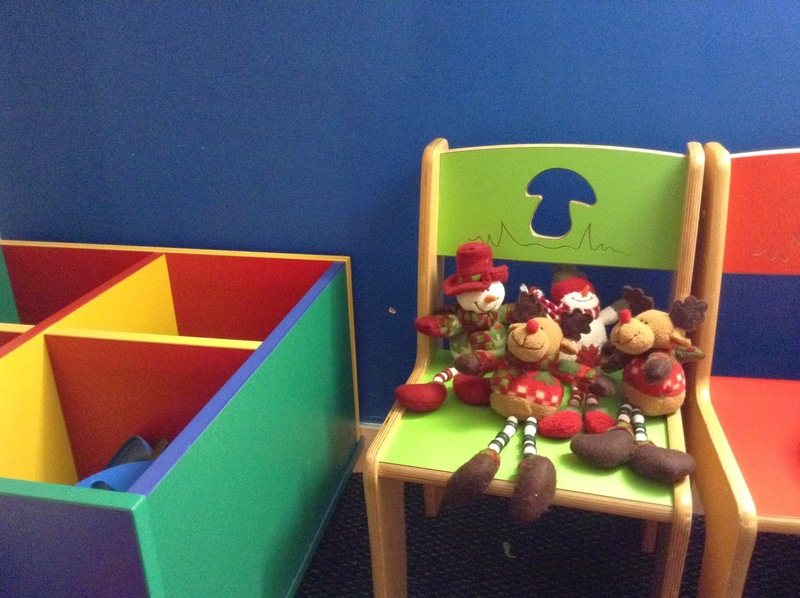 I like to stay with my whole herd of reindeer as we help keep each other warm. Please make sure I don't get lonely in Ash class. Maybe today I could play with Rocky? We will be very good! Rudy says: I always goes to sleep first because Sooty tells me to, as soon as it gets dark! Sooty says: It gets dark very early in the North Pole and in the winter the sun hardly gets to light it up at all. It could be dark by lunchtime -- so only 2 or 3 hours of daylight for the WHOLE day. But in the summer the sun is always up and then they hardly have any nighttime dark . . . I will make sure we look up more about the sun and night and day over the next week. Rudy will find a book to tell you all about this. Sooty says : "The snow is VERY VERY deep, as deep as your house. It never melts in the North Pole. I want to know what is all the green stuff outside the window that you play with a ball on at playtime?" Rudy says: My favourite animal is the polar bear as they make us all laugh! They look so funny as they try to run through the snow. They can be a big grumpy though so we make sure we are always very polite to them. Rudy says: When we looked out of our Arctic Airways airplane we saw that Greenland was definitely not green! It looked all white and snowy -- a bit like the North Pole. 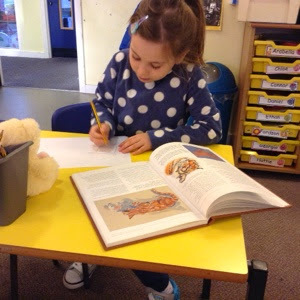 I have just been looking in a book for you to find out why it is called Greenland and the answer is all colourful! A long time ago a viking called Eric the Red had to leave Iceland and he discovered Greenland . . . to make people want to come and live there with him he called it Greenland because it sounded a much warmer, nicer place to live . . . in fact it is all white except for a small part in the south in the summer which is green. I will show this to you on a map if you want me to show you. By the way Iceland is green lots of the time so I think everyone just got a bit muddled with their names. Sooty says: No one really knows how old Santa and his elves are . . . they don't like to be asked how old they are! But someone told me he is over 1,000 years old! That is very old, but he doesn't seem to be that old it's just his beard gets a little whiter and longer every year. The elves just get a little naughtier and we have to watch out that they don't throw snowballs at us and knock our hats off! 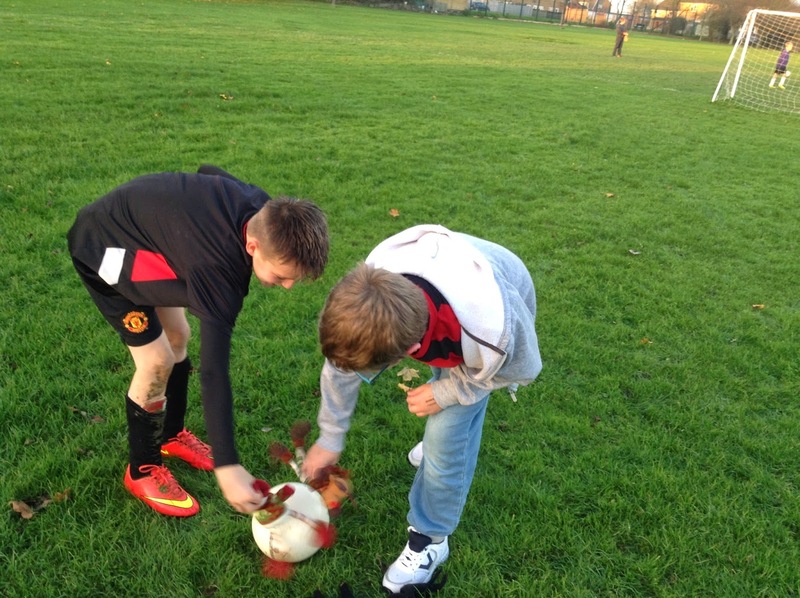 What were the Adventurers up to on Monday?